Travelport has announced two new leadership for its Agency Commerce teams in the Americas and Europe, the Middle East and Africa (EMEA). In the Americas, Simon Ferguson will become Managing Director, Agency Commerce for the region which spans the United States, Canada, and Latin America. Ferguson takes over from Bret Kidd who will be taking an alternative role within Travelport. Simon will relocate from London, where he currently oversees Travelport’s Northern Europe region and will be based in Atlanta from July 1. Ferguson is a graduate of Sheffield University whose earlier career included leadership positions in travel technology and media before joining Travelport in 2011. In 2017, Travelport’s revenue in the Americas was over $700m. In EMEA, Damian Hickey will take on the role of Managing Director, Agency Commerce following the departure of Rabih Saab earlier this year. 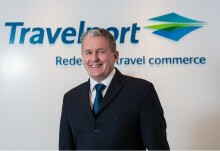 Hickey will take up the role from June 1 and will relocate to Travelport’s Langley, UK base from Singapore, where he currently oversees Travelport’s Air Commerce business in the Asia-Pacific region. Hickey has been at Travelport since 2012 in a number of leadership roles. He is a graduate of Trinity College, Dublin and has worked in the travel technology sector for over twenty years. In 2017, Travelport’s revenue in the region exceeded $1bn.